Binge-watching isn’t just a hobby anymore, it’s a developed skill. Rapidly watching episode after episode after the start of a new series, or maybe an old series that you’ve never seen, can be dangerously addictive. But, if you must indulge – do not overlook these gems! There are many reasons to binge and the following 3 shows, each have their own special one. Silicon Valley has become one of the most popular and well-received HBO shows to date. It still has a long way to go, in comparison to Game of Thrones and classics like The Sopranos, but its comedic following is growing larger each year. Martin Starr breaks out of his Judd Apatow shell and is joined by Thomas Middleditch, Amanda Crew, and T.J. Miller in a satire that centers on living and working in Silicon Valley. The brainy friends are an eclectic group; Erlich is an arrogant, over the top, yet majorly experienced software engineer who sold his company, Aviato, and invested in Richard’s compression startup, Pied Piper. The underdog team is often rivaled by their much larger counterpart, Hooli. Don’t compare Silicon Valley to The Big Bang Theory – they’re a different type of nerd genre in a completely different profession. Binge-watch for yourself and see. 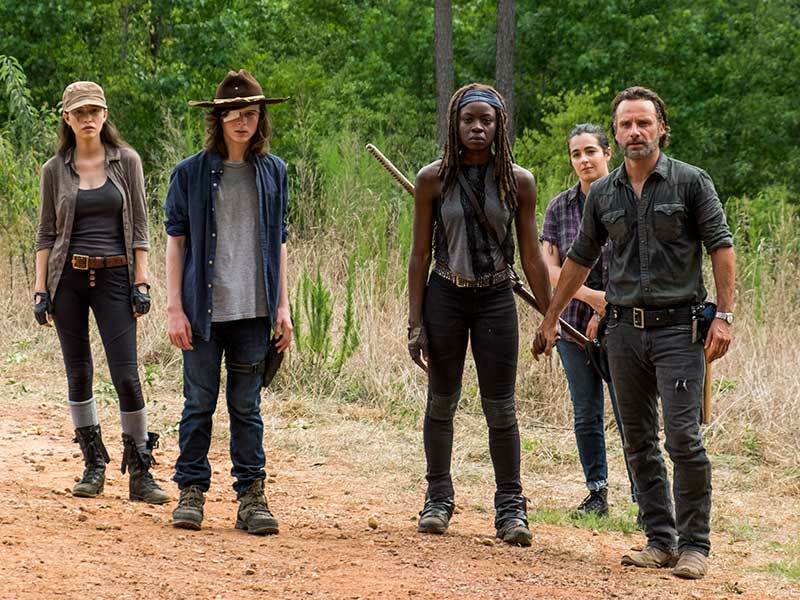 Binge-watching The Walking Dead is a necessary evil, just like the series itself. In a world that’s now living in a post-zombie state of infatuation, The Walking Dead still reigns supreme as the innovative, apocolyptic tale that wrenches our guts. After the season 7 premiere, going backward and starting from the pilot episode just seems like the right thing to do. Never again, will we get to experience the great love of Maggie and Glenn. Never again, will we watch Abraham break hearts and melt ours. For first timers, if you’ve been avoiding The Walking Dead for 6 years now, it’s time you finally gave in and heard some of the most inspiring (admittedly, sometimes annoying) Rick Grimes speeches. It’s time to behold the Samurai wrath of Michonne and the healing powers of a Veterinarian turned lifesaver, Hershel. Additionally, the Feminist movement has a large place in the world of Walkers. Carol, Rosita, and Andrea will inspire girls to feel tough, everywhere. Girls saw a brief decline after the second season but now that the series is gearing up for its final showdown, it’s imperative that everyone relives the magic (or un-magic) of the Lena Dunham brainchild. Shoshana’s anxiety over her college career and the state of her future is all too familiar. Jessa’s most recent betrayal reminds us all of a time when we faced a similar situation, regardless of which side of the relationship you were on. Marnie’s re-invention of self is something we’ve all thought about once or twice. And last but not least, Hannah’s waning insecurity and lack of motivation to pursue her dream justifiably relatable. But, it isn’t just for these reasons that the show deserves a good binge-watch. In all honesty, these “girls” have shown us just how catty, mean, and downright terrible they are at the core… for now. This last season we need to be prepared to say goodbye to the selfish and unbridled version of the characters we love to hate. Girls has come this far and while it’s rightfully perceived as avant-garde, we gotta get that last little bit of growth.